I love deserts, so it should come as no surprise that Death Valley is one of my favorite national parks in the US. I’ve visited Death Valley on two occasions: first during my 2009 road trip and second during my 2011 photo tour. Both times I found it to be a photographers paradise with plenty gorgeous vistas. It is the lowest point in North America. Badwater Basin is 282 ft (86m) below sea level. It holds the record for the hottest temperature on Earth. In 1913, Furnace Creek recorded a temperature of 56.7°C (134°F). It is the home of the Devil’s Racetrack, a mysterious place where rock appears to move and leave trails. No one knows how or why it happens. Death Valley is most accessible from Las Vegas and is also a three-hour drive from Las Angeles. I highly recommend NOT visiting in the dead of summer. If you do, make sure your vehicle is full of fuel and bring plenty of water. You can check out the Death Valley National Park newspaper to get information about the park. 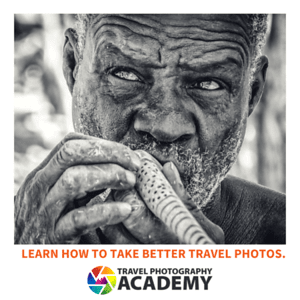 You will find that you need to know about what to see or do, as well as some things that you need to know to plan your visit. 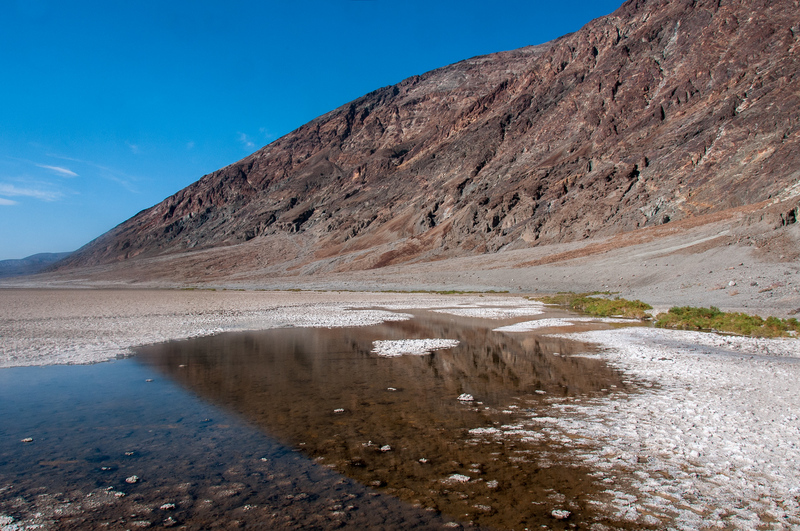 Badwater Basin: This is an endorheic basin that marks the lowest point in North America – 282 feet below sea level. 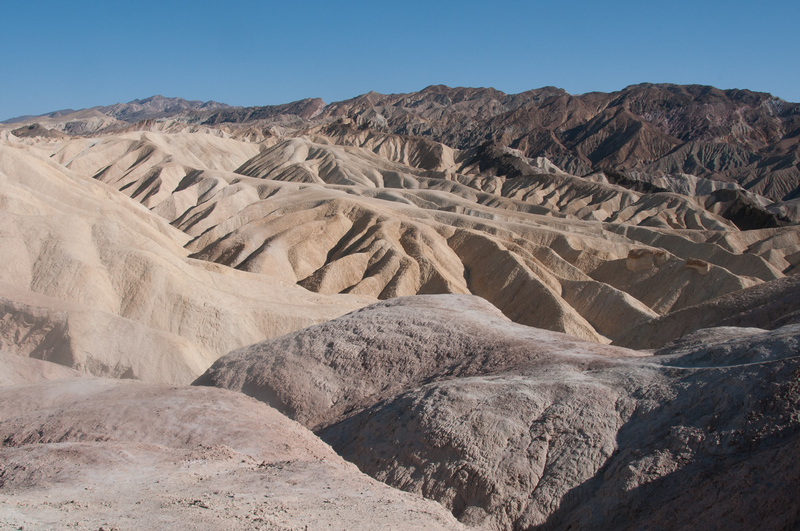 Zabriskie Point: This belongs to the Amargosa Range east of the park. It is notable for its erosional landscape feature. Furnace Creek: This village is located 190 feet below sea level. It is a popular destination for tourists who enjoy camping, golfing and desert exploration. Dante’s View: It is a viewpoint terrace located at the crest of Black Mountains. 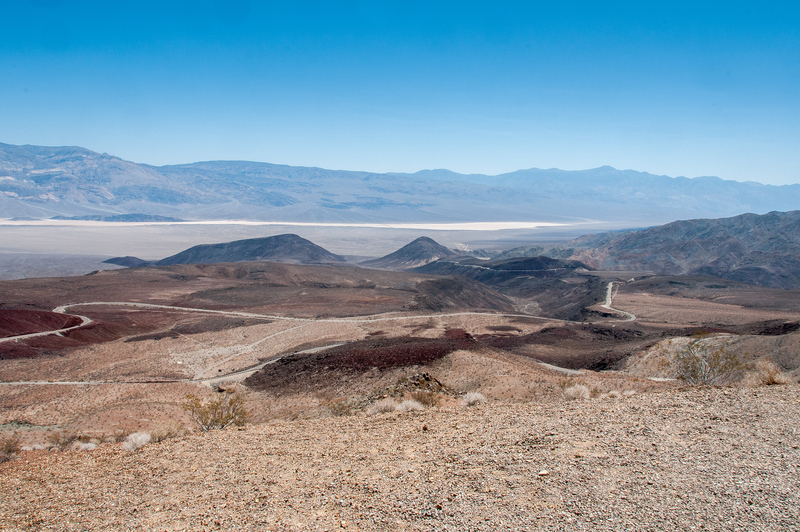 It provides an overlooking view of the Death Valley. 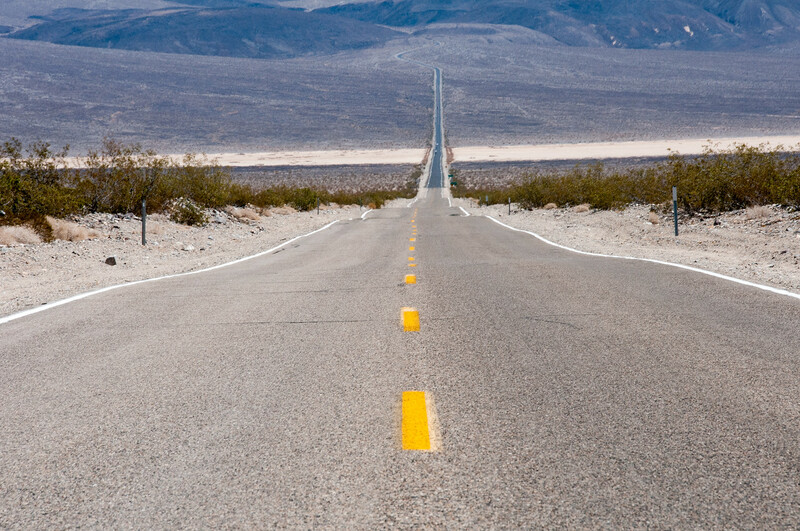 You must take the California Highway 190 to get to the Death Valley National Park. From Nevada, you can take the US Route 95. The climate varies according to which time of the year you visit. Summer starts early here; when you visit in May, you should expect weather like the peak of summer. Winter is a good time for exploring the valley for the low angled winter light and snow-capped peaks. Spring is the recommended season to visit the park. The Furnace Creek Visitor Center is the main visitor center that serves visitors to the Death Valley National Park. There is also a museum that you can visit within the visitor center. When exploring the valley, use the main roads only. It is also recommended that you use your car’s air-conditioning as it can get very hot. Do not underestimate just how hot it gets here. Make sure to pack an adequate amount of water with you. I like deserts too. I really want to see the Devil’s race track.